Discount Magic - Distorted Visions. 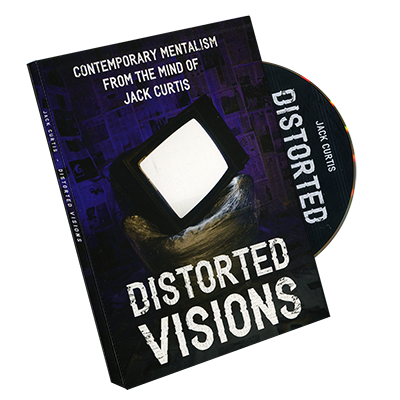 Distorted Visions The 1914 proudly presents DISTORTED VISIONS an instructional DVD by JACK CURTIS - author of the critically acclaimed underground mentalism book DISTORTED THOUGHTS. On this DVD, Jack, joined by professional mentalist LOOCH, teaches six incredibly strong, instantly resetting, real-world, close-up mentalism effects; designed and structured for high impact results.